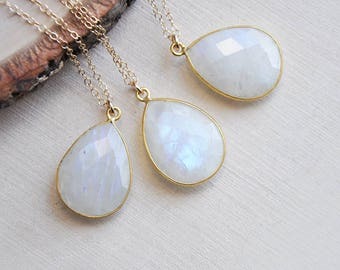 This lovely necklace features natural moonstones that have gorgeous flashes of blue and or rainbows. 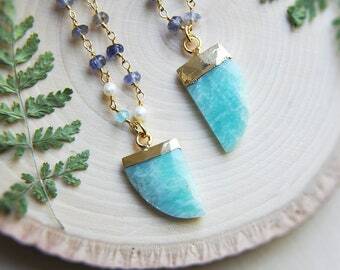 Each stone is unique and one of a kind due to their natural formations. These are resting inside of gold bezels secured together creating this stunning statement necklace. 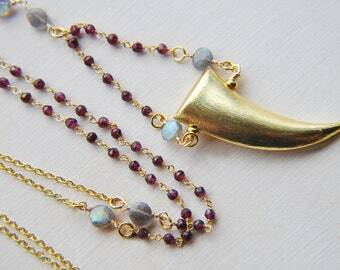 The pendant is carved into a shape like a unicorn's horn and has a brass cap. 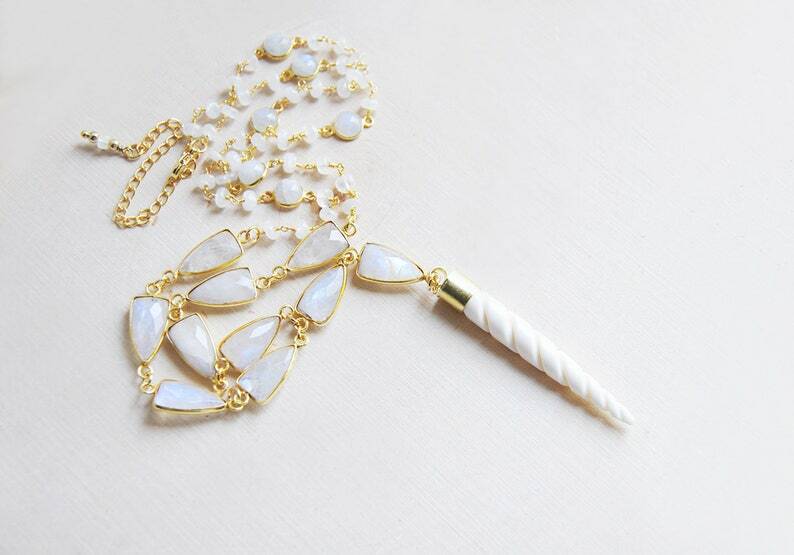 This necklace can be worn alone or layered with others for a trendy look. Their is an extender to adjust the length. All of my jewelry arrives suitably gift wrapped ready for giving. The length of the unicorn horn is approx. 2"